(LHU SPORTS) Lock Haven University’s Kayla Gee throws a pitch in an NCAA softball game. CLERMONT, Fl. – The Lock Haven University softball team (8-8) finished up the PFX tournament Saturday in Clermont, Florida. The Bald Eagles split in the team’s two games of the day, knocking off Le Moyne 9-3 before falling to No. 22 Southern New Hampshire, 8-2. The Bald Eagles knocked off Le Moyne, 9-3 in the first game of the morning. LHU used a six-run second inning to cease control of the game early and never let Le Moyne get closer than five runs as Lock Haven kept The Dolphins at bay on the way to the dominant 9-3 win. Mikayla Ruppert (Bethlehem, Pa./Liberty) led the way on offense for the Bald Eagles, going 2-4 at the plate with three RBI’s. Faith Ceely (Troy, Pa./Troy), Madison Mathes (Hammonton, N.J./Hammonton) and Amanda Criss (Bel Air, Md./Bel Air) all had big games at the plate as well, finishing with two hits apiece. Ceely added a run scored and an RBI while Mathes added a run scored and Criss finished with two runs scored and an RBI. 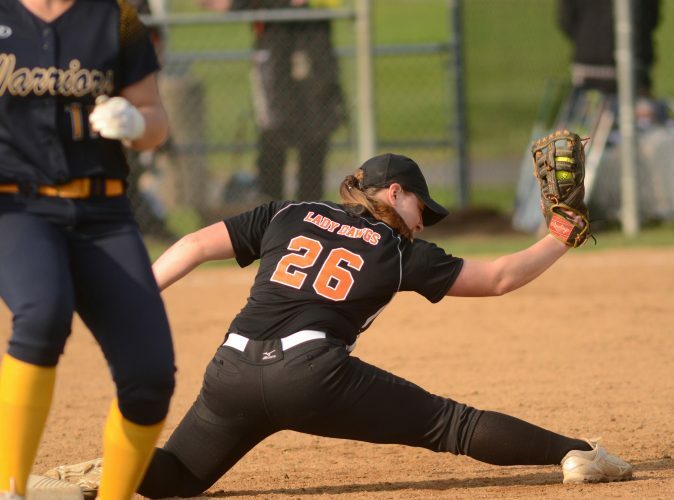 Traci Kromko (Tunkhannock, Pa./Tunkhannock) scored two runs and tallied an RBI while Rachel Gricoski (Frackville, Pa./North Schuylkill) scored a run and had an RBI. 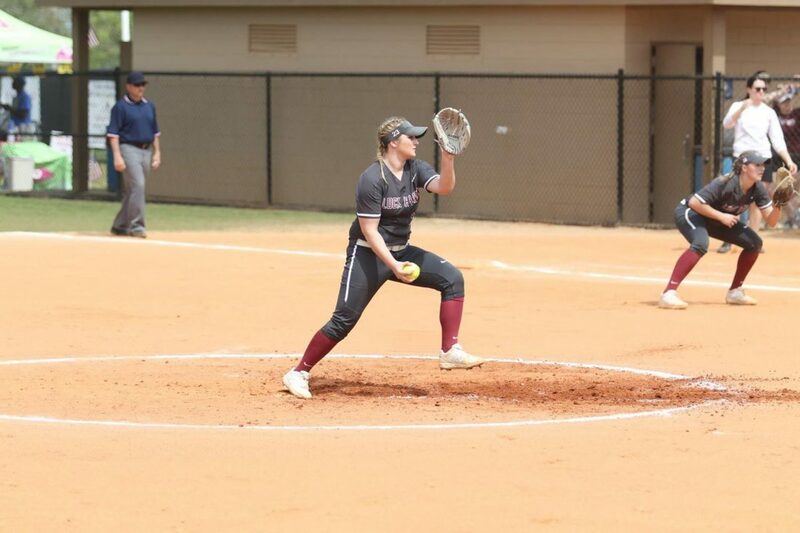 On the mound, Bekah Slattery (Douglasville, Pa./Daniel Boone) pitched a complete-game four-hitter for LHU while striking out nine. In game two, the Bald Eagles fell to No. 22 Southern New Hampshire, 8-2. Much like LHU did in the second inning of game one, SNH was able to score six runs in the second inning to jump out to a six nothing lead. LHU was able to cut the deficit to 6-2, but that was the closest the team was able to get as Lock Haven fell to the nationally ranked Penmen, 8-2. Ceely and Criss led the way offensively for LHU as they both tallied two hits. Casey Carpenter (Spring Brook, Pa./North Pocono) had a solo home run over the left field fence while Kayla Gee (Williamsport, Pa./Loyalsock) finished with an RBI single. 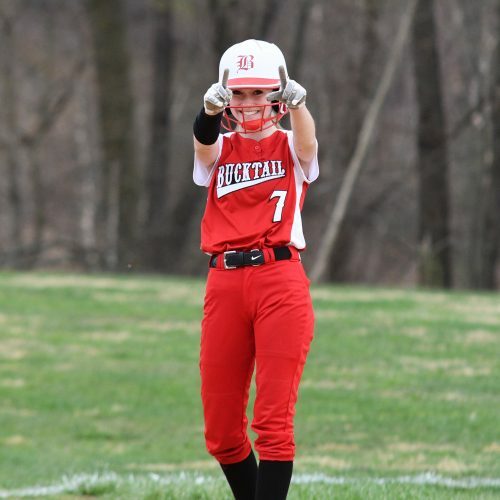 Bree Hilty (Lock Haven, Pa./Central Mountain) added a double and a run scored.